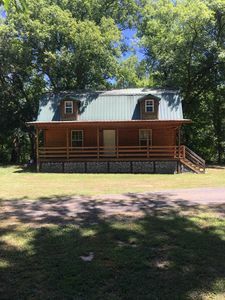 Oak Ridge Retreat is located in the popular Oak Ridge area just off hwy 259a East which takes you across the spillway to Beavers Bend Resort Park. 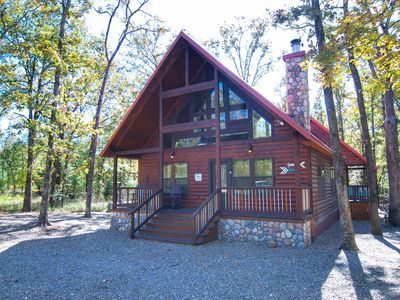 The cabin is within 2 miles of the trout fishing streams and all the beauty that surrounds them. 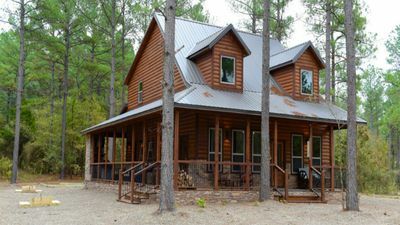 The cabin was built in 2008 and has approximately 1540 square feet. Oak Ridge gets it's name from the towering oaks that fill the area providing a haven for wildlife. 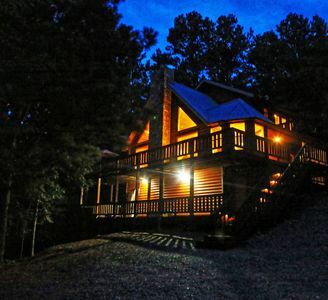 You'll see deer playing, squirrels gathering nuts, and raccoons will visit on the deck of your cabin! Additionally you'll see all types of birds from humming birds and woodpeckers to hoot owls in the night time. Springtime is amazing at Oak Ridge Retreat. With everything turning green and the dogwoods in full bloom, it's such a beautiful soul cleansing site. You will not won't to leave! 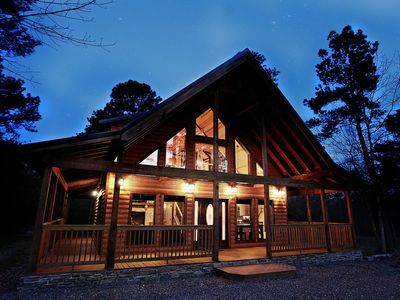 Oak Ridge Retreat has 3 bedrooms and 2 full baths. 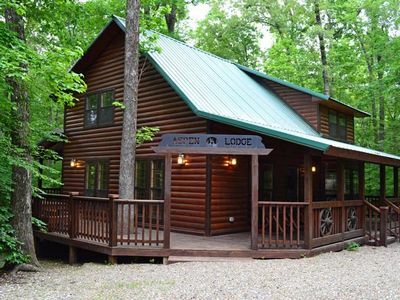 The cabin is single story (no stairs to navigate) and has a short entrance ramp for easy wheelchair access. Sofa Sleeper located in the living room area. A hallway bath is located between the 2nd and 3rd bedroom providing easy access for everyone. 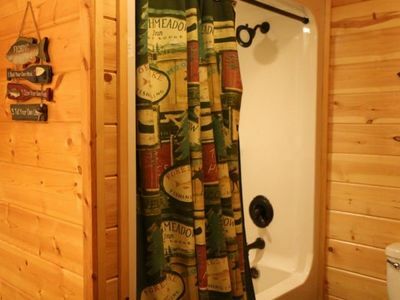 Oak Ridge Retreat provides an ample supply of linens for the bedrooms and towels for the baths. A washer/dryer is provided for the convenience of our guests. Oak Ridge Retreat has a fully equipped kitchen with modern appliances. You'll find everything you need to prepare a feast for your family and friends. There is even a gas grill for outdoor cooking. All dishes, flatware and cookware are provided. All you need to bring is the food! Afterwards just toss everything in the dishwasher and relax. Oak Ridge Retreat offers wrap-around decks and porches. The large spacious back porch is covered with ceiling fans for summer comfort and is home to a 5/6 person outdoor hot tub. There is also plenty of seating and a picnic table for outdoor dining. The gas grill is also located on the back deck area. Propane is provided for the gas grill. Outdoors you'll find a horseshoe pit and a campfire area for roasting marshmellows and making smores. If your prefer to stay indoors, relax in front of the cozy gas fireplace in the open vaulted living area. The fireplace ignites with the flip of a switch! (Fireplaces are available October thru March.) 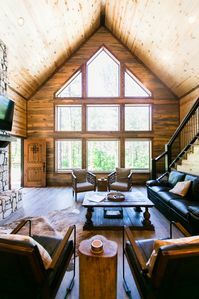 The cabin offers DirecTV's Choice package (with Showtime and Stars plus the local Dallas stations) in both the living room and master bedroom. 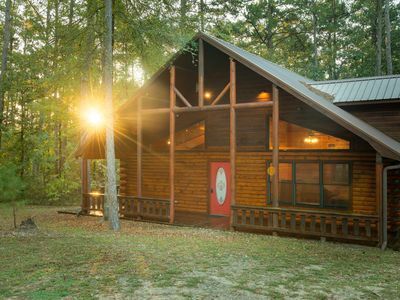 For those who need to stay connected, the cabin is equipped with wireless internet. 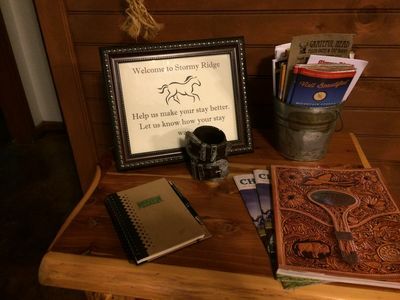 There is something for everyone at Oak Ridge Retreat! A great place for your family vacation or a romantic getaway! Bring your boat! 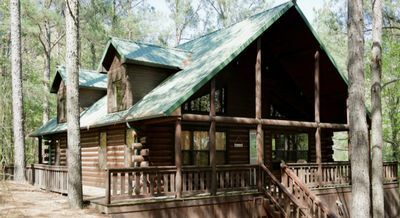 Oak Ridge Retreat has a circle drive for easy boat and ATV trailer parking.